During the week of March 22 to March 26, the African Diaspora Heritage Trail [ADHT] commemorated the United Nations International Day of Remembrance for the Victims of Slavery and the Transatlantic Slave with a number of activities. A spokesperson said, “On Monday, the keynote speaker, Dr. Alvin Thompson, Professor Emeritus, Department of History and Philosophy at the University of the West Indies arrived on island. 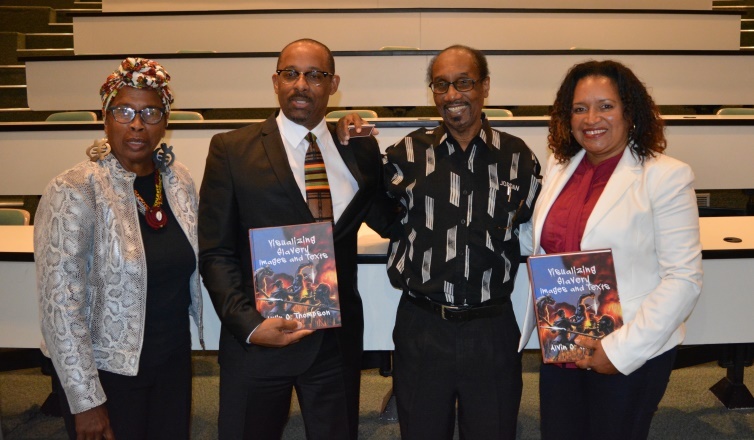 Dr. Thompson is the author of more than a dozen  books on the Diaspora and its history. 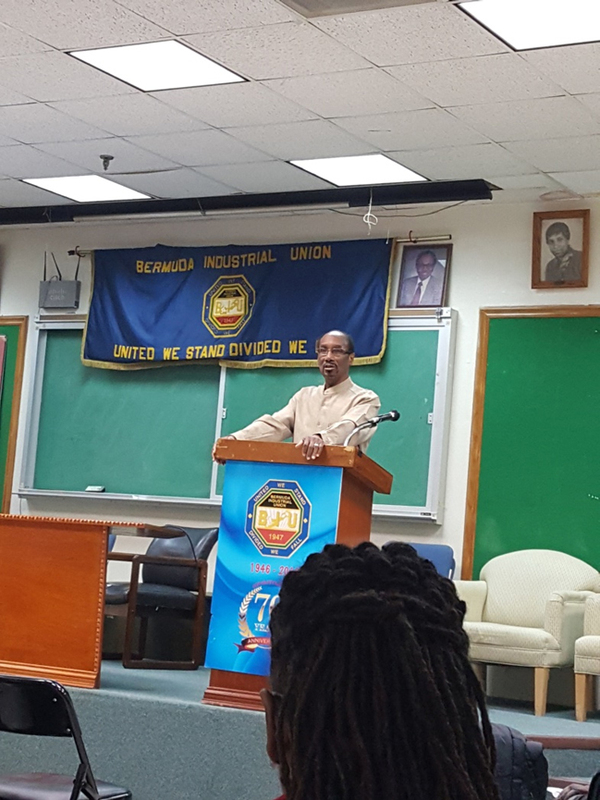 “On Wednesday evening, 22nd March, Dr. Thompson delivered the Annual Day of Remembrance Lecture at the Dr. Gordon Memorial Hall in the BIU building. Participants at the lecture enjoyed Dr.
“Thompson’s presentation so much that event organiser, Maxine Esdaille, said that the she had to ‘chase persons out of the building’ at 9.30pm as they continued to pepper Dr. Thompson with questions even though the lecture started at 6.30pm. “The Department and Community and Cultural Affairs assisted with the lecture by providing light refreshments at the event. 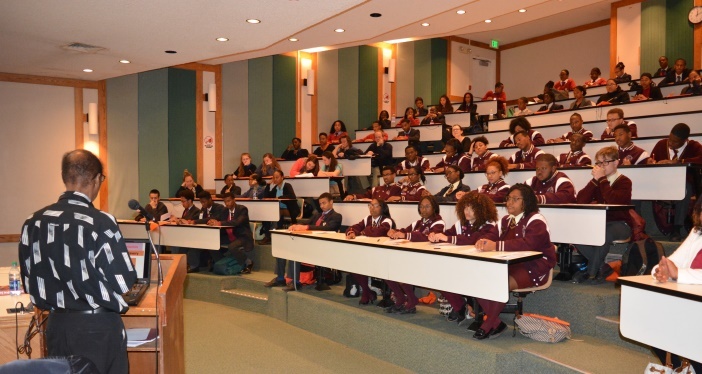 “On Friday 24th March Dr. Thompson had the opportunity to speak with more than 80 senior school and Bermuda College students at a special presentation organised by committee members Judith Gill from CedarBridge Academy and RuZelda Sevrin from the Bermuda College. 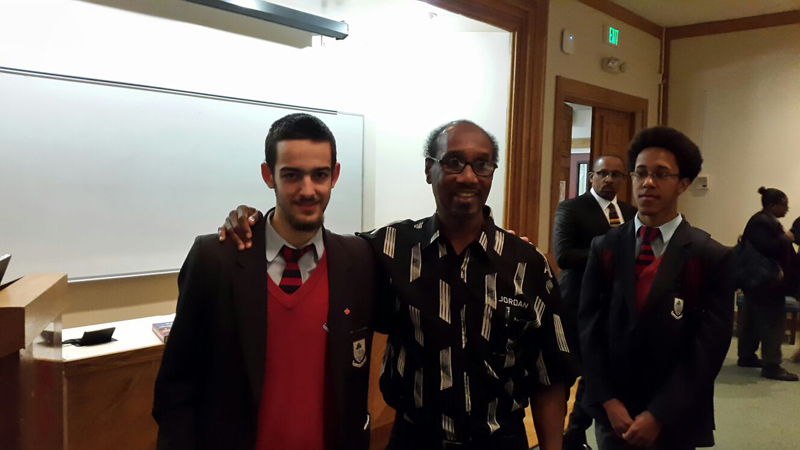 “Each local senior school was invited to send students to this special presentation which took place at the Bermuda College. “Schools that attended were Berkeley Institute, Bermuda College, Bermuda High School, Bermuda Institute, CedarBridge Academy and Saltus Grammar School. “Students were treated to a visual display of the life of enslaved persons, sharing information which may not be a part of the regular curriculum. The visuals used by Dr. Thompson are included in his seminal book – Visualizing Slavery: Images and Texts. 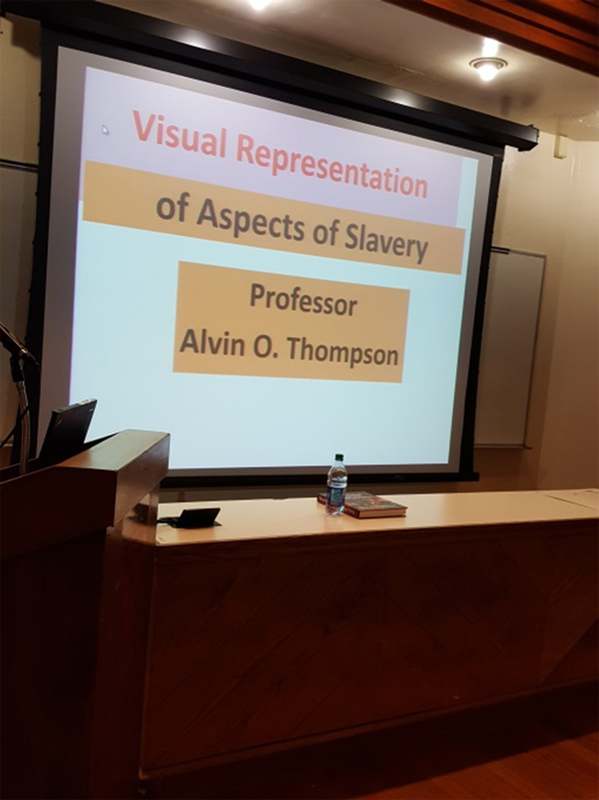 “For more than an hour students listened attentively as Dr. Thompson shared with students pictures that showed the life of enslaved persons of African descent. At the end of the presentation, and before students asked Dr. Thompson questions, Mrs. Esdaille of the ADHT asked students why they thought the UN and the ADHT each year commemorated the Day of Remembrance for the Victims of Slavery. “So the responses for our students to this question confirm that they understand the importance of the commemoration. “During the Q&A period students and teachers asked a number of thought provoking questions showing that they were indeed listening and looking carefully during Dr. Thompson’s presentation. At the end of the presentation, Dr. Thompson was thanked for his presentation by Zaharia Furbert of CedarBridge Academy and presented with a copy of the book Me Too by Dr. Pauluu Karemakefego which was gifted by an anonymous donor. 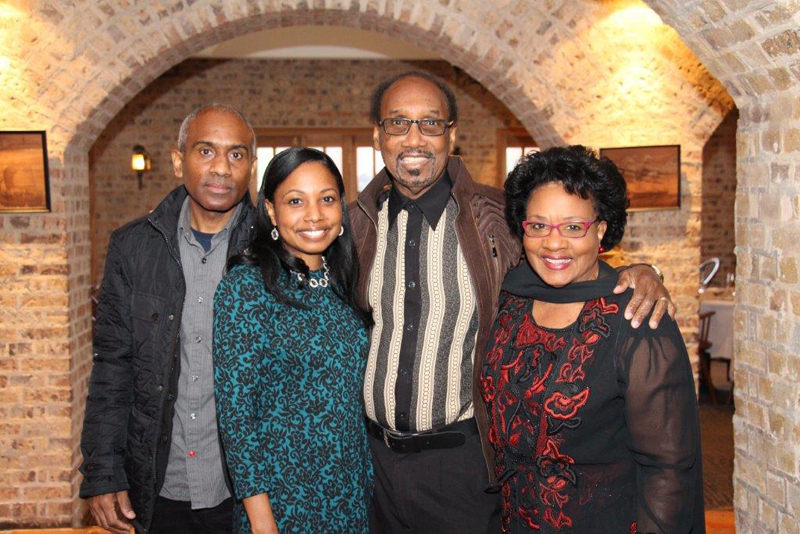 “The Ministry of Education was represented at the event by Dr. Llewelyn Simmons, Director of Academics and Mrs. Lisa Marshall, Social Studies Officer. “Dr. Simmons on behalf of the Ministry of Education has purchased a number of copies of Dr. Thompson’s book, Visualizing Slavery: Images and Text, which he indicates will be placed in school libraries and at the National Library. 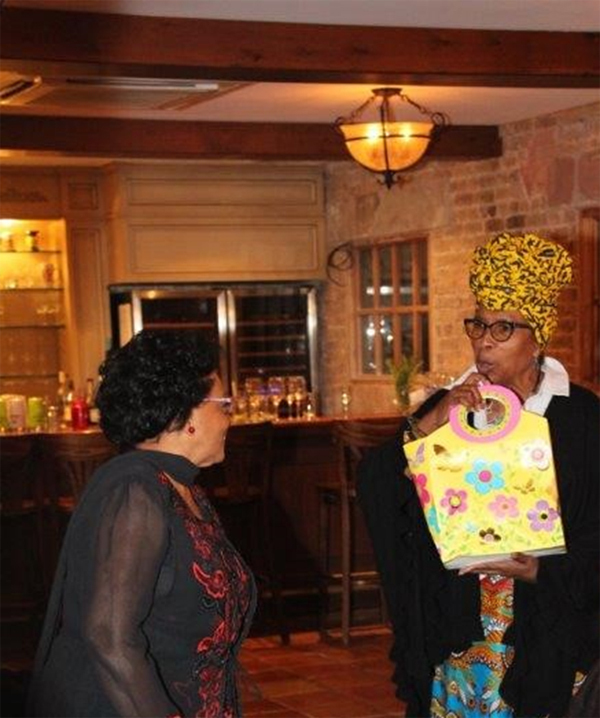 “On Saturday 25th March, which is the Official Day of Remembrance for the Victims of Slavery and the Transatlantic Slave Trade, the ADHT hosted a fundraising dinner at the Tempest Bistro in St. George’s. “This was an opportunity for Dr. Thompson to relax, enjoy some Bermudian and Barbadian cuisine while persons who attended got to talk one on one with him. “The Annual Day of Remembrance Commemorative Church Service was held, on Sunday 26th March as usual at Cobbs Hill Methodist Church. “The Church, which welcomes the ADHT each year for this special service, had a programme which spoke on the theme – “Recognising the Legacy and Contributions of People of African Descent” Young person Vanessa Gilbert read the story “A World Without Black People” by Philip Emeagwali, which spoke in narrative form about the many inventions of persons of African Descent. “Mrs. Edna Simmons, speaking on the legacy and contributions of Bermudians of African descent, rightly included the men and women who built the Cobbs Methodist Church from 1825 – 1827 and also Mr. Clarence Orister Darrell of Flatts, Bermuda who on 1st November 1898 received the US Patent No. 29,577 for his design for a bicycle pump. 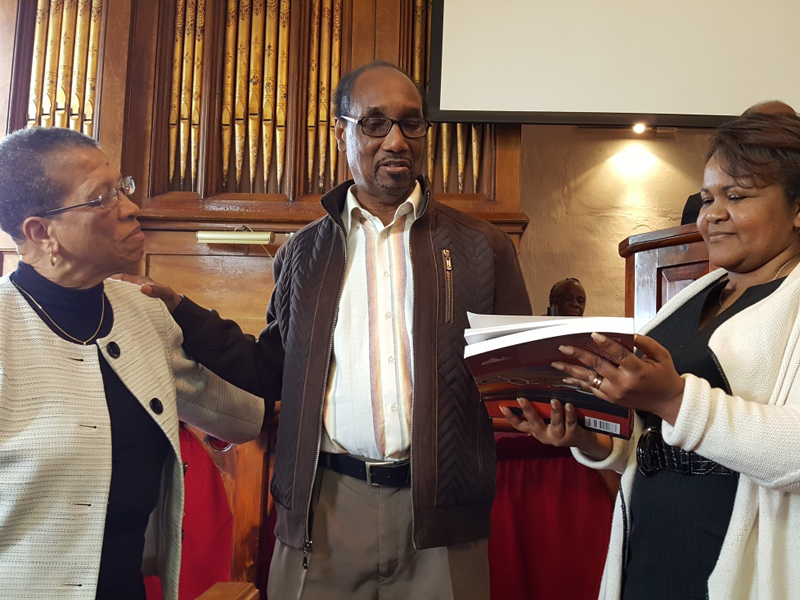 “In thanking the Church for its support each year in hosting this service, the ADHT presented a copy of Dr. Thompson’s book to Mrs. Edna Simmons and Mrs. Carol DeSilva who each year organise the service.